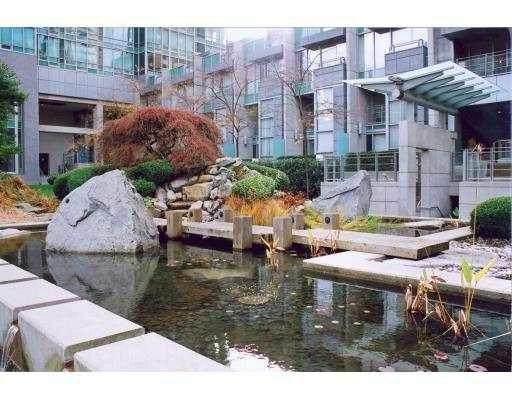 2 level Townhouse facing north in the heart of the city, nice unit at 1272 sq ft overlooking landscaped courtyard, pond & waterfall, some views to the harbour and mountains as well. 1 parking 1 storage locker. Easy to show.